Gary has 19 years’ experience working in the wholesale energy markets, and has a unique perspective having worked in the Utility, Banking, and Investment Manager Sectors. Most recently Gary ran the Risk and Finance function of Nanook Advisors, an alternative Investment Company based in London. He built risk, reporting and finance systems, had daily oversight of the asset portfolio, and managed the valuation processes. Previously Gary was European and then Global Head of Commodity Risk for Morgan Stanley, the US based Investment Bank. He managed teams in London and New York and was responsible for all aspects of Market Risk. As well as day-to-day trading book oversight, he was responsible for Large Transaction due-diligence, new product approvals, risk system enhancements including policy, limit frameworks, and risk-reporting processes. He had significant interaction with regulators (in the US and UK) and authored several regulatory submissions. From 2006 Gary worked for Tudor Investment Corporation, a global asset investor, as an Energy Investment Strategist. He developed investment ideas across the Commodity space, requiring fundamental and technical analysis, model development, and price and asset value forecasting. Gary joined Barclays Capital - the Investment arm of Barclays Bank - in 2002 as they expanded their Commodities business unit. He supported the UK and European Power and Gas business, specifying trading and risk infrastructure requirements. He was the Risk Manager for the business, and also responsible for any model used for Balance Sheet valuation in the wider Commodity business, supporting fair value modelling, Value-at-Risk processes and balance sheet valuation adjustment methodologies. Gary entered the industry in 1998 with Norweb Energy, as a Risk Analyst. He helped manage the energy supply portfolio, and was involved in managing the transition from the Pool to NETA trading arrangements. After a takeover by Texas Utilities (TXU), he worked in Geneva as a Trading Risk Manager, building and implementing risk systems and overseeing the European Trading and Asset portfolios. 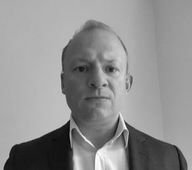 Gary has exceptional experience across energy trading and risk management, and has worked at some of the largest risk taking institutions in the world. He knows how good business ideas can be translated into a robust, credible trading strategies, and how risks should be measured and successfully managed. Gary is an experienced quantitative modeller and has a track record creating and implementing models to support trading and risk management. These include fair value pricing models, economic asset valuations, static and dynamic hedging simulators, Value-at-Risk and risk reporting systems, price forecasting algorithms and trade decision support tools.